We are a prominent name in the manufacture, supply and exporting of Brass Electrical Socket Pins to our esteemed clients. These are manufactured using high quality raw material procured from trusted vendors of the market. These are available in variety of sizes and designs for our clients. We are one of the leading names in the industry for offering a wide array of Plug and Socket to our clients at reasonable rates. 3pin multi plug polycarbonate body brass pin..
For 10, 20 & 30 AMP. in the execution of single & three pole. 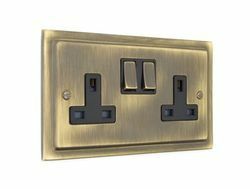 Single Phase up to 20A & Three Phase up to 32 A, fitted with industrial type SIGMA Plug & Socket. These are ideally suitable for switching & Protection of Air Conditioners, Refrigerator, Geyser and industrial Machines etc. Please ensure to use 'C' type SIGMA MCB's while protecting, the above and never use 'B' type MCB's in the above cases. Continental Type DB's 1, 2, 3, 4 tier. We provide our clients with a range of socket Pouches that are manufactured using high quality raw material and can be customized to suit the specific requirements of our clients. Available in various sizes, these socket pouches can be delivered in bulk quantities and within a short period of time. 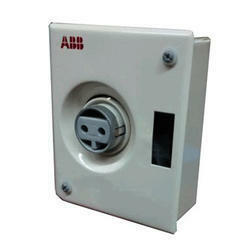 We manufacturer and supplier wide range of Auto On Power Socket, as per client requirements.